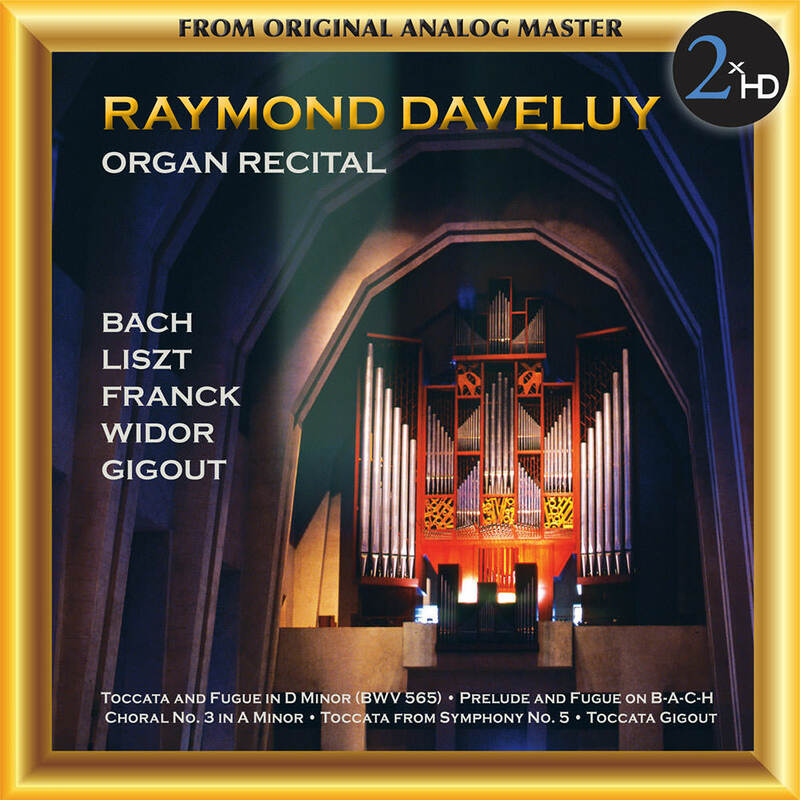 Organist Raymond Daveluy, a member of the Order of Canada, presents this album of works by Bach, Liszt, Franck and other composers performed on the prestigious Beckerath organ at Saint Joseph’s Oratory in Montréal in 1976. Daveluy, an acclaimed composer and music professor as well as musician, certainly knows the instrument well; he was named the first organist at the Oratory when the organ was originally installed in 1960 and assumed that role until 2002. The digital transfer was made in DSD directly from the original 15 ips master, using the original Nagra IVS recorder without any noise reduction. A second digital transfer was made in 192 kHz /24-bit PCM. Recorded at Saint Joseph’s Oratory, Montreal, Canada, November 1976.